Promote your business today by having our Personalised Latte Coffee Mug printed up with your business details and company logo and then handing them out to your staff and customers as a promotional item. Then every time they drink tea or coffee, they will be advertising your business details and company logo. Please call for a FREE quote, prices and samples. 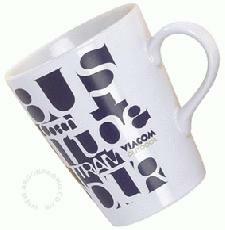 So advertise your details upon our Personalised Latte Coffee Mug from Calendar Lady Promotions today! To find out more about our Personalised Latte Coffee Mug click here and fill in the contact form and we'll get straight back to you. Other promotional and personalised items besides our Personalised Latte Coffee Mug click here.